The Alaska Gateway School District has partnered with Iron Dog Outfitters in Tok, Alaska. Through this partnership we were able to acquire two snowmachines for our use with the mission of scouting and grooming trails at our schools and in our communities. These machines will be housed for the duration of the project at Iron Dog Outfitters in Tok, Alaska. All users must be cleared by the Program Manager and will be required to sign a snowmobile waiver and release of liability agreement as well as attend a short safety briefing with an Iron Dog employee before use of the machine(s). Calendar and Required Forms for Snowmachine Users: See the calendar for available dates to check out the machine. 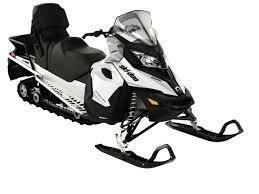 Then scroll down to fill out and submit the necessary forms to reserve the snow machines. The following forms are required to be completed before you can check out a machine.